Use to enhance your dream. 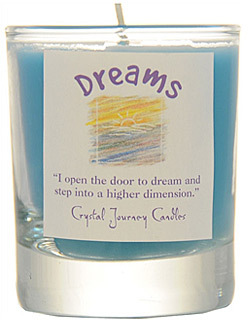 Use in combination with Ascended Masters and Guides candle to call upon them in your dreams. "I open the door to dreams and step into a higher dimension."